Melanie runs away. From conflict. From pain. From reality. When novelist Melanie Vander faces a looming deadline, she decides it's time for an escape to an inspiring, novel-worthy locale. She's not running away. Really. She just needs time to focus. But as she disappears into her writing, she encounters a man whose tenderness leaves her reeling. Engaging and wise, psychologist Elliot Hammond tempts Melanie to question everything, including her marriage. But that's ridiculous. Dr. Hammond isn't even... real. Melanie's husband, Craig, has his own problems, including a recession that's threatening his business. Waning finances, a looming home foreclosure, and a wife who's checked out emotionally, has Craig feeling as though he's carrying his burdens alone. When his client, the beautiful and single Serena Buchanan, offers him a solution to his financial woes, he's tempted by more than her offer of a business solution. At a crossroads, Melanie and Craig seem headed in opposite directions. 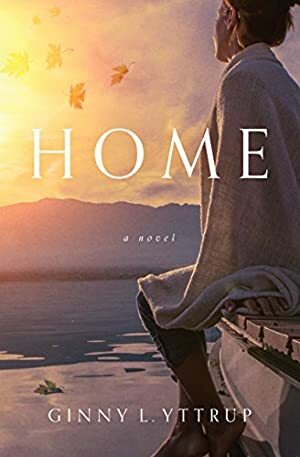 As Melanie runs away from her problems by escaping into her own fictional world, Craig dives into his struggles, seeking God for strength and healing for his marriage. Ultimately, Melanie must choose whether she'll check out completely, or allow her characters to lead her home. Log In to track Ginny L. Yttrup on eReaderIQ. to be notified each time the price drops on any book by Ginny L. Yttrup. to stop tracking Ginny L. Yttrup. We started tracking this book on November 11, 2016. The price of this book has changed 63 times in the past 895 days. The current price of this book is $9.92 last checked 7 hours ago. The lowest price to date was FREE last reached on September 4, 2017. The highest price to date was $14.99 last reached on November 11, 2016. We last verified the price of this book about 7 hours ago. At that time, the price was $9.92. This price is subject to change. The price displayed on the Amazon.com website at the time of purchase is the price you will pay for this book. Please confirm the price before making any purchases.